Hey, Mae-Mae here! 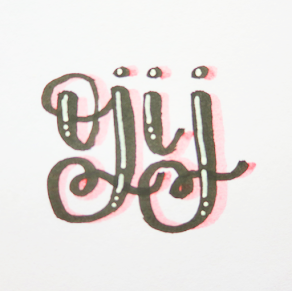 This is the first "real" post for this blog, and I'm a little excited. Are you excited, too? You should be. Actually, you don't really need to be excited. Nonetheless, I will be excited. Anyway, let's get straight to the actual blog post shall we? 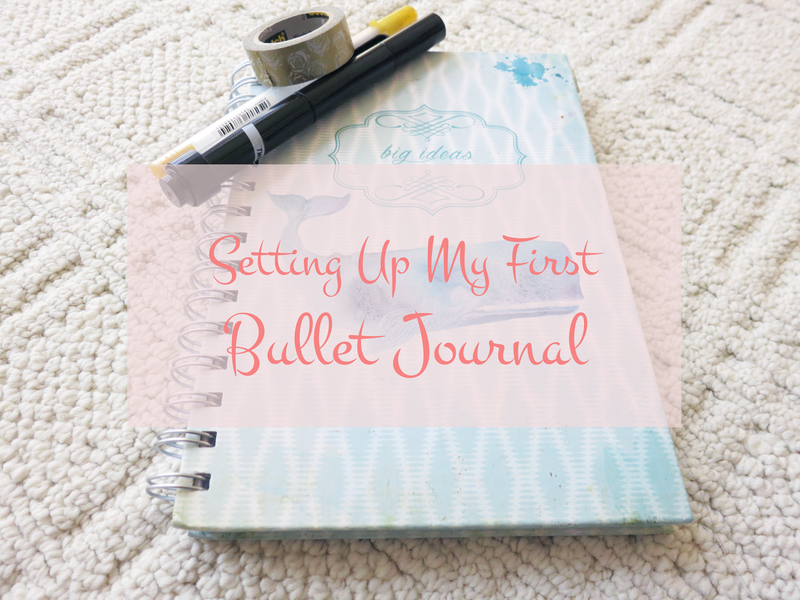 So what exactly is a bullet journal? 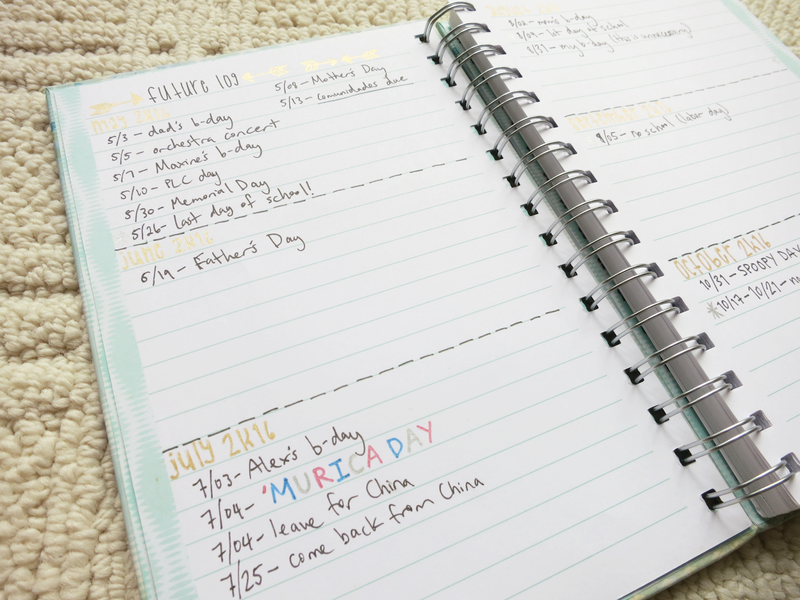 For those of you that don't know, a bullet journal is kind of a planner-journal hybrid. 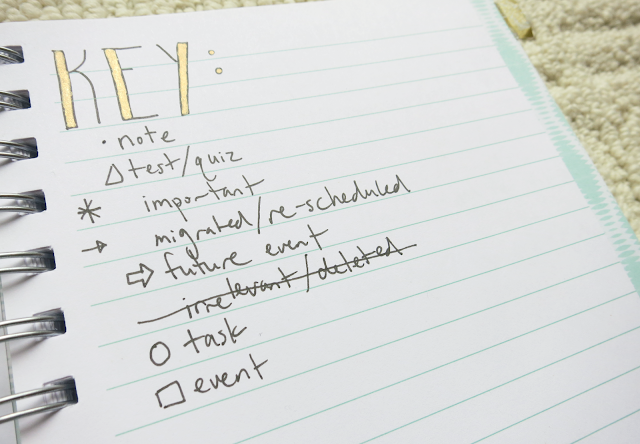 You can write in your daily tasks, events, random lists of whatever, or pretty much anything that you want to. 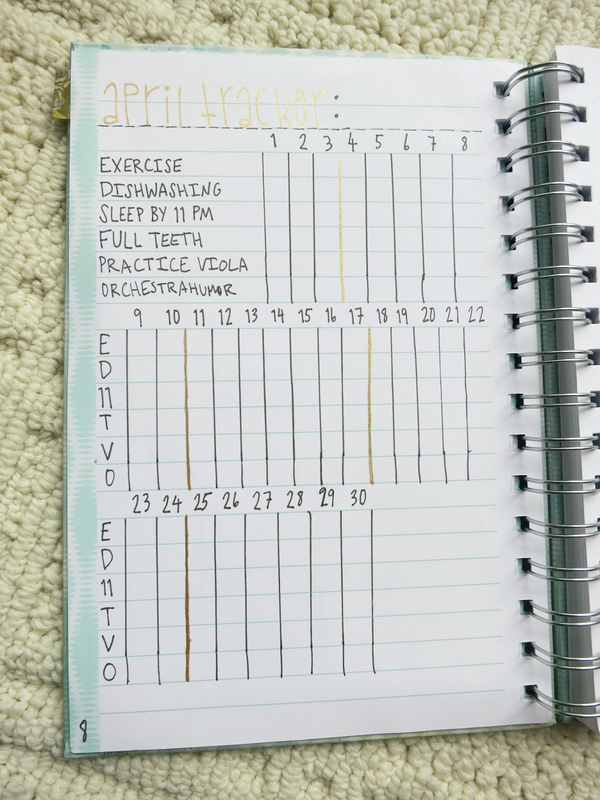 However, probably the best thing about the bullet journal (or "bujo" for short) is that since it's not pre-printed, it is very flexible; if you don't like something, you can change it, and there isn't necessarily a "right" or "correct" way that you have to do things. 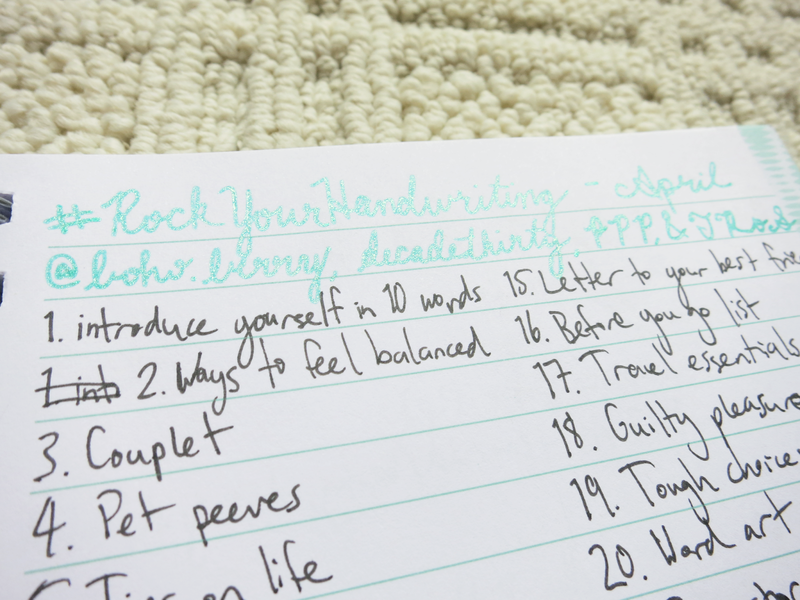 Click here for more in-depth information at the official Bullet Journal website. I'm the type of person that does extremely extensive research before I start something or make a purchase, so I've watched many YouTube videos and read many blog posts to gather as much information as I can. Thus, the way I have set up my bullet journal is a mix of the official/original method made by Ryder Carroll, the creator of the bullet journal, and random things by other people and myself. The very first thing I did was number the pages. Well, that was actually the third thing I did. The real first thing was cut out out the first couple of pages (since I had previously been using this notebook for something else) and then set up the index and key. After all of that, I numbered all 140 pages, except for the first two, where the index was. 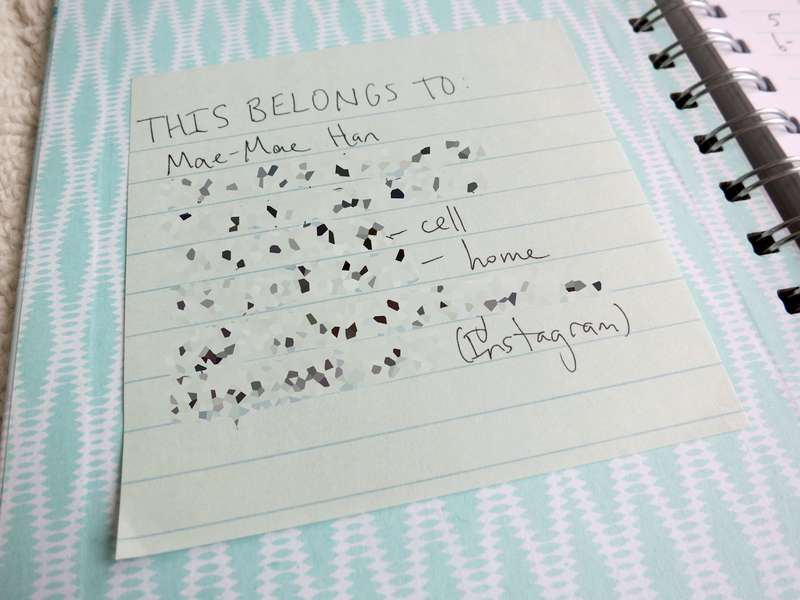 On the front inside cover, I just put a sticky note with some contact information, which is blurred for obvious reasons, just in case I ever lose this. I wrote down my home address, cell and home phone numbers, personal email, and my personal Instagram (because if all else fails, Instagram also has messaging features). 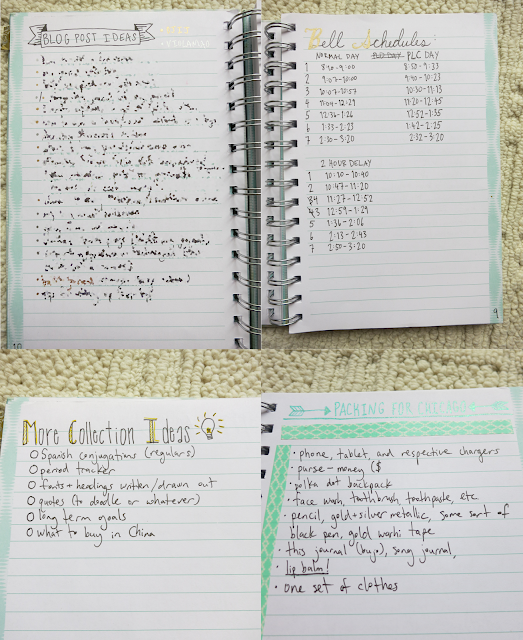 I decided to only do two pages for my index, or one sheet front and back, because I figured that the majority of my bullet journal would be taken up by daily pages which wouldn't be put in the index. However, now that I've actually started it, I think two pages may not be enough. It's not a very big deal though; if I run out of room in this index, I'll just start a second one wherever I am in the notebook. 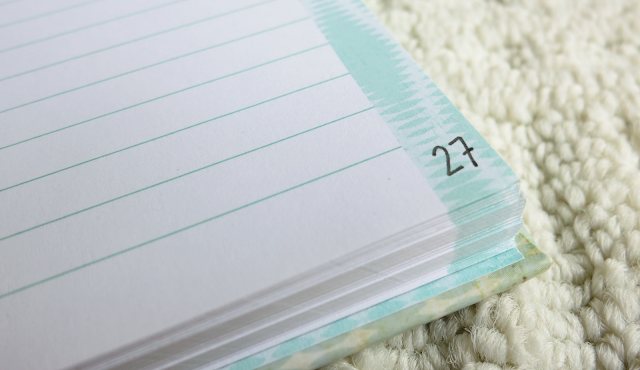 A tip I have for you if you have not started your bullet journal yet: put the page numbers flush against the left margin. At first, I centered the numbers because I like having things centered, but I realized (and still sometimes forget) that I should leave room in case I need to write down more page numbers, such as if there is a continuation of the spread. 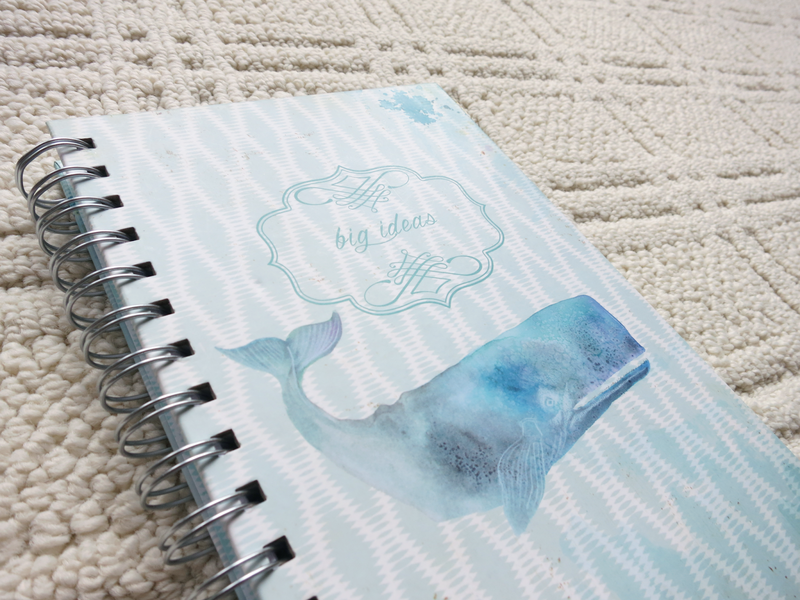 When I was planning how I was going to set up my bullet journal, I knew the key was one thing I wanted to change. To me, the original task bullet represents ideas and memos, not things I need to do, so I adapted that to signify notes. Additionally, because tests and quizzes are one of the main things I write in my planner, I created a symbol for that. 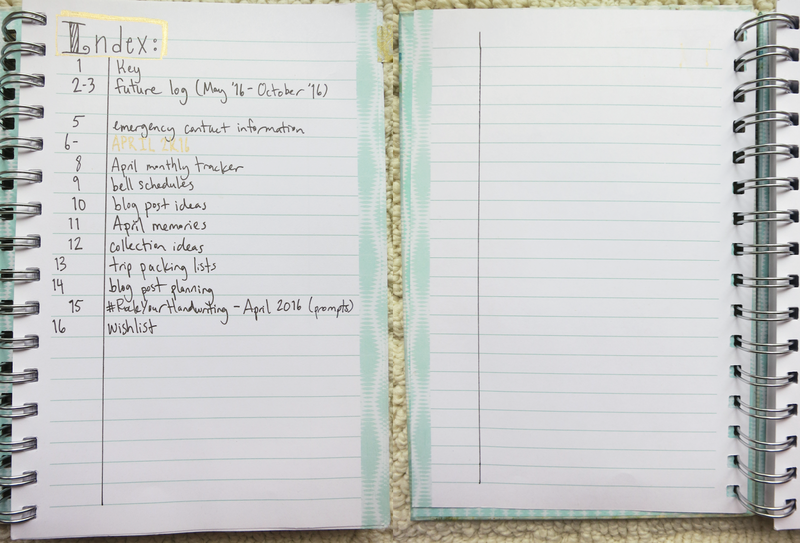 Lastly, I was debating whether I should use a circle or a box for tasks (and the other would be used for events). Though generally the former is used for events and the latter for tasks, I finally decided to use circles for tasks, which will probably be the bulk of my daily spreads, my reason being I can draw a decent circle quicker than a satisfactory square. The rest of the signifiers and symbols I use are pretty self-explanatory. That gold metallic gel pen though . 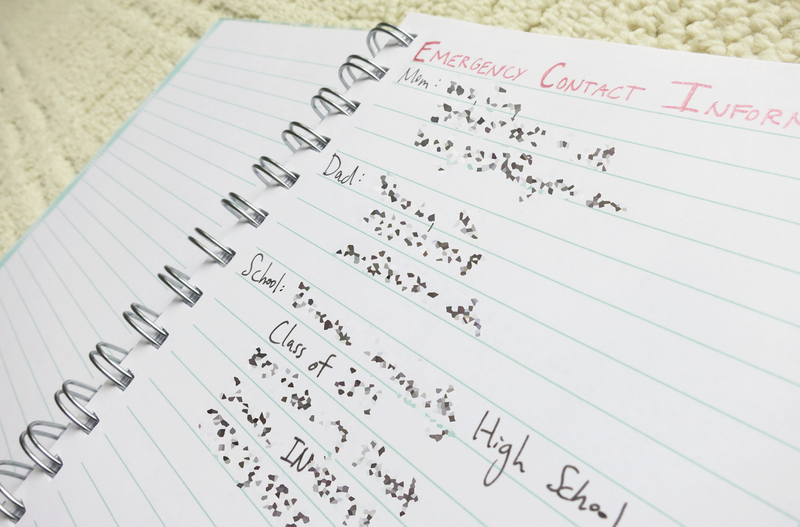 . .
My future log is almost the same as the original, so I won't dwell too much on it. The only big difference is that I don't use any sort of symbols, except an asterisk for school breaks, because of the fact that I'm reserving it solely for big events (e.g. birthdays, holidays, vacations, etc.). 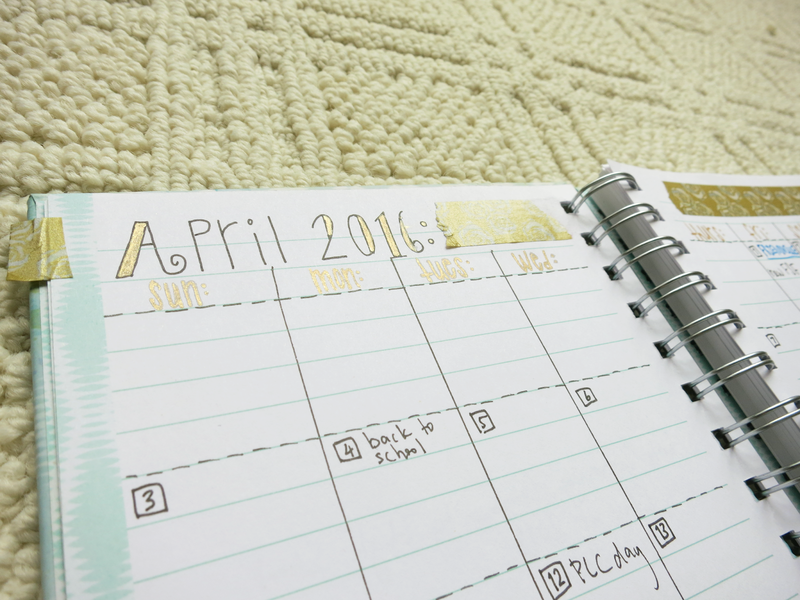 Page four is blank thus far, but I am reserving it for a full-year calendar (my printer is currently not working). Page five just has some more contact information, which is of course blurred again. I put down my school's information because I felt bad leaving so much empty space on the page. There wouldn't be enough room to write down multiple things for the same day. Because of these reasons, I just drew in a traditional monthly-calendar. 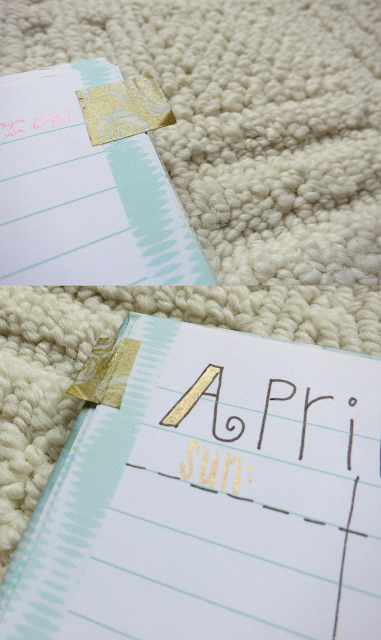 Because I am accustomed to my old planners having tabs for each month, I originally used a paper clip with a cute washi tape flag to bookmark the monthly spread. However, I discovered that it was hard to write on other pages because of the paper clip. 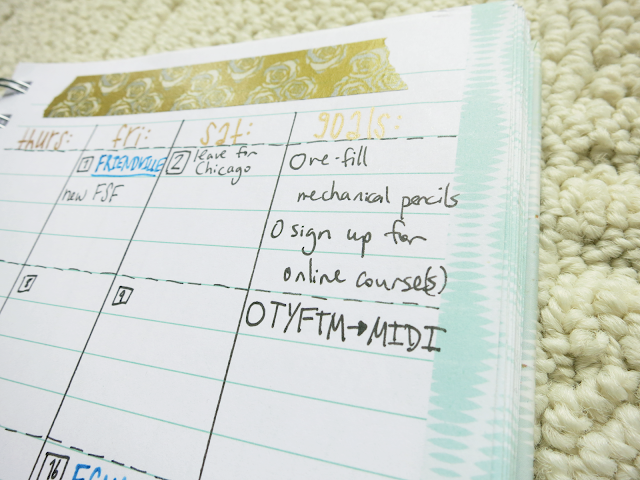 I considered using a long piece of washi tape folded lengthwise along the page, which is a neat little trick I have seen somewhere on the Internet (if you know, please comment the original source!). However, I worried that it might be difficult to immediately flip to the intended page. Thus, I just used a small strip of tape folded against two pages to create a tab. This is a spread that I thought was really interesting (created by Passion Themed Life, I think?). 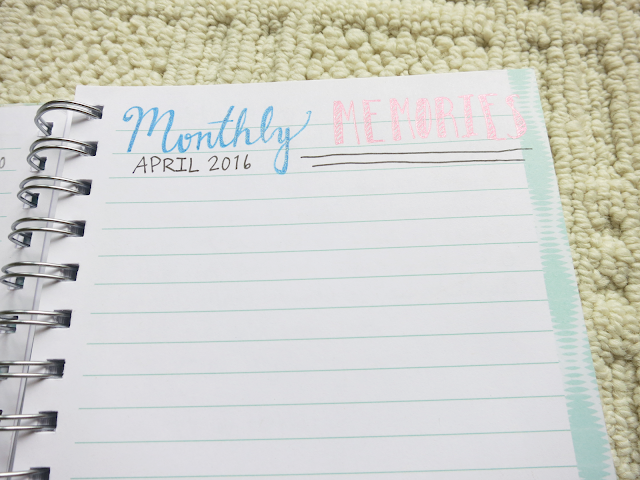 I think it will be nice to look back at that page in the future and see what big things happened that month. 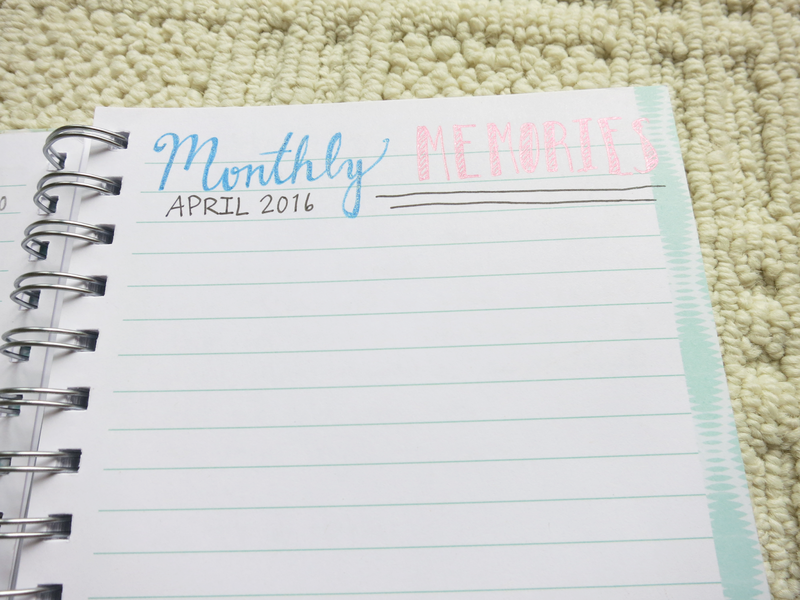 Obviously, since it's not April yet, it's still blank. Here are just some random collections. Of course, no spoilers for the blog post ideas ;) The reason I have the color-coding with the different-colored bullets is because I have two blogs: this one (gold bullets) and ViolaMao Meowsings (silver bullets, looks black in the picture). I have no idea why I put the word "more" for the collection ideas page; that is the first collection ideas page that I have. I had the idea to make a collection with ideas for more collections (collection ideas-ception!) because I have heard many seasoned bullet journalers warn against creating too many useless, arbitrary collections when first starting out. Consequently, I decided to make this list so that I could consider whether or not the collection would actually be needed. 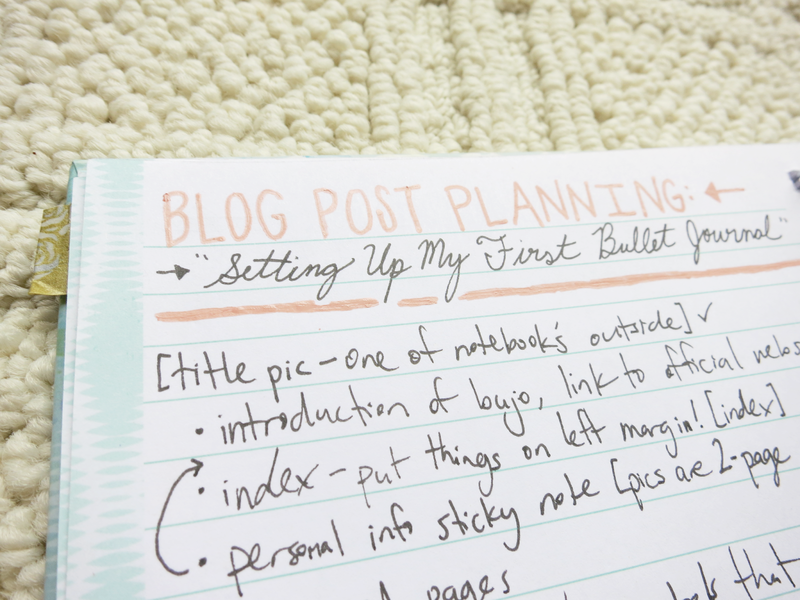 The top picture is the planning for this blog post. In the bottom one, I listed out the prompts for the #RockYourHandwriting challenge hosted by Kara of Boho Berry, Dee from Decade Thirty, Jessica of Pretty Prints and Paper, and Kim from Tiny Ray of Sunshine. Ironically (or non-ironically, depending on the way you see it), my handwriting does not look good at all. I also messed up by writing the first prompt on the wrong line. If you want to see my posts and pictures for this challenge, make sure to check out the Our Journey in Journals Instagram account. Taped to the inside back cover is a pen test page. Originally, that page was the key but the header looked awful, and I hated it with a burning passion. So, I took the page out, and not wanting to waste a pretty much empty page, cut off the top and labeled it "Pen Test Page" with some of the worst cursive in my life. That poor page has received one horrible header to another. Whew, that was a lengthy post. Haha, y'all better appreciate it. Make sure to share this post if you liked it, and please leave a comment down below if you have any questions. Click here for next month's (May 2016) set-up. What was your experience like when you set up your first bullet journal? Welcome to Our Journey in Journals!